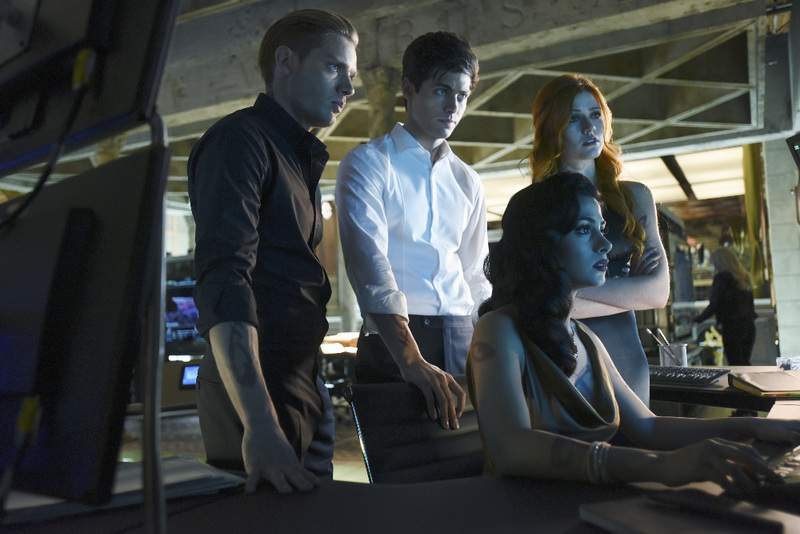 ABC Family/Freeform has released a ton of promotional photos for the season 1 finale of Shadowhunters titled “Morning Star,” which airs April 5. In “Morning Star,” time is running out for the Shadowhunters to stop Valentine. I don’t see Magnus in any of these pictures! Should I be worried? Networks don’t release very spoilerly promotional images until after the episode airs. It happened with Outlander. Both of those things seem possible. What moment? you mean the one from City of Glass? Where he kisses Magnus in front everyone?